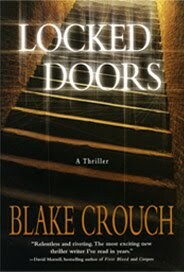 One of my best friends in the writing biz is Blake Crouch. I've collaborated with him on multiple projects, and we talk often about the publishing industry. Blake: Rights reversion is a beautiful thing. 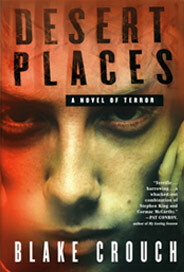 My first novel, DESERT PLACES, was published—wow, hard to believe—almost seven years ago. Its sequel, LOCKED DOORS, came out the following year. I knew at the time that most books didn’t stay in print forever, but I still quietly dreaded the day my books would no longer be available to readers. Then, over the last couple of years, as ebooks rose in prominence and popularity, a strange thing happened. I quit dreading the day my first two novels went out of print and started wishing that day would come faster. Unlike Joe, I didn’t have 74 unpublished novels in my drawer which were good enough for public consumption. I only had two unpublished novels prior to my first sale, and NOAA actually just sealed those manuscripts in a steel chest and dropped them into the Challenger Deep so there is no chance that future generations might accidentally discover them. This meant I didn’t have any thriller novels to upload into the Kindle Store. Sure, I had a short story collection, a few novellas, including SERIAL UNCUT, which I wrote with Joe, and a quirky novel about warped celebrity called LUMINOUS BLUE, but I didn’t have anything meatier. And novels seem to sell much, much better. To add insult to injury, my publisher, who still had the rights to LOCKED DOORS and DESERT PLACES, was selling them in the Kindle Store for $6.99. My two recent novels, SNOWBOUND and ABANDON are priced at $12.99, and I get email from people castigating me for this, but it’s beyond my control! Reversion of rights is standard boilerplate in all publishing contracts (unless you are getting royally screwed) by which the rights to a book may revert to the author when certain conditions are met. There are subtle variations, but generally these conditions are activated when the books are no longer in the warehouse, when sales fall below a certain threshold, etc. So I had my agent investigate the situation with these two books, and we concluded that, in fact, rights should be reverted. A letter was written to the publisher, requesting rights be reverted, and the publisher had six months to either initiate a new edition of the books, or to give me the rights back. This was a challenging experience, which took every bit of six months to complete. Blake: If you heard a shout of joy two weeks ago, that was me receiving my reversion of rights letter for DESERT PLACES and LOCKED DOORS, which meant they were mine again. I had prepared for this, had the books poised to go in my DTP account, and all I had to do was hit publish. It felt good. Two things to consider when getting your rights back. Both these books had been given the full editing, copyediting, multi-round proofreading treatment, and so I wanted to capitalize on that. My publisher, however, when I asked, didn’t have the final electronic version of the manuscripts, which had been spitshined into a high gloss sheen. So with the help of a friend who shall remain nameless, I downloaded the over-priced Kindle versions of my novels, jail-broke the text out of DRM (die, DRM! ), and was able to upload the pristine, final version of the manuscripts. Even following a reversion of rights, the publisher still retains ownership of the original cover artwork. You can’t use it. Luckily, this was totally cool with me, because I never loved the covers to DESERT PLACES and LOCKED DOORS to begin with. So I asked Jeroen ten Berge (www.jeroentenberge.com), the man behind the “Serial” cover as well as many of my ebooks, to design new covers for DESERT PLACES and LOCKED DOORS. He did a fantastic job. I just put these books up, so it’s early yet to know how they’ll do in the long run, but I can’t help but feel it’s a wonderful new world we have, where books can find a 2nd life. Joe: Are you using DRM on these titles? Blake: Not a chance. These books are only available in the Kindle store right now, but I want all e-reading devices to be able to download these books (and with Caliber they can if DRM is not enabled). Joe: My blog readers like numbers. I know that prior to your publisher listing DP and LD at $6.99, they were $9.99. What were the cumulative ebook sales through your publisher, compared to something you released (say SERIAL UNCUT)? Joe: You're writing a sequel to these two novels. Can you go into any details? Blake: Well, it’s going to be another collaboration project—the conclusion to these books, as well as the conclusion to this guy Konrath’s Lt. Jack Daniels’ series. Working title is STIRRED, and it’s going to pit Jack Daniels against one of my nastiest villains, Luther Kite. We’re going to try to write it in the same manner we wrote “Serial,” bringing a true chess-like dynamic to the writing process. Should be a blast. Joe: Both ABANDON and SNOWBOUND are doing okay on Kindle, even at the insane price of $12.99. What do you attribute this success to? And would you ever consider releasing a $12.99 self-published ebook? Blake: I have no idea. But I think it clearly establishes that there are people willing to pay more than $2.99 for an ebook. I can't imagine releasing one myself for $12.99 though. Joe: Especially with a cover like Snowbound, which has the be the very worst thriller cover I've ever seen. I won't ask you to comment on it because you're not into burning bridges like I am. This is A Newbie's Guide to Publishing. So advise newbies. If they have a hot book, all ready to go, what should they do with it? Blake: Get a great agent, and try to sell it for a lot of money. Publish short fiction in solid magazines. There’s a lot of bad-mouthing lately about the “gatekeepers” but I think a publishing track record is important, and it should matter to readers. I’m a reader, and it matters to me. Put your short fiction and your novellas and collaborations up on Amazon. Keep your irons in several different fires. The truth is no one knows how this is all going to shake out, so in light of that, there’s really only one smart play…diversify. Joe: I encourage everyone to buy DESERT PLACES and LOCKED DOORS. They're terrific thrillers, and the villain from them appears in my seventh Jack Daniels book, SHAKEN, which comes out October 26. 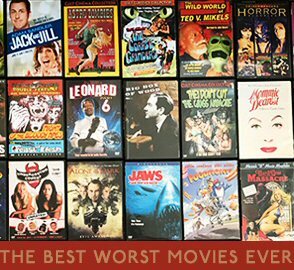 If you've read my previous Jack books, you'll love them.